Get help finding out-of-state insurance coverage. If your business hires employees in other states, or performs work in other states, you made need multi-state coverage. Workers' compensation insurance is under the jurisdiction of individual States. Class codes, rates, claims regulations and benefits often vary considerable by state. Each workers compensation policy is designed to be written for the variance in exposures. Things to consider include: a) Where each employee lives, b) where they are working c) how long are they working there. Can I Buy Coverage for All States? The short answer "no". Even though there are insurance companies and agencies that write and sell insurance in all 50 sates, there are four monopolistic states (ND, OH, WA, WY) where workers' compensation must be purchased directly from the state. Ironically, work comp coverage is the only line of insurance where states have these distinct divisions by state lines. Most employers don't actually need coverage in every state. It is, however, relatively easy to purchase work comp coverage in all other other states across the U.S. (except monopolistic). Most states do have a coverage clause known as an extraterritorial provision. This provision basically allows for the primary state coverage to apply to an injury or claim when an employee is hurt across state lines. The provision was intended for situations where an employee is simply passing through a state on business or when the scope of work is deemed to be temporary. Most states consider temporary to mean less than 30 days in a period of one year. It is important to note that some states, like New York, require contractors to have primary coverage in the state if they perform any work at all. A workers compensation policy form is made up of six parts. Part One and Part Three are designed to outline policy coverages available in other states. The confusing part is they often create ambiguity with regard to what states are actually covered under the policy. And ultimately, employers are responsible for insuring that they have adequate coverage despite the confusion. If your business has employees that cross state lines or travel out of state to conduct any work, then you should take a look at section 3A and 3C of your workers' compensation policy. Section 3C can be found under Part Three- Other States Insurance, and is basically a catch-all statement informing an insured where the policy can extend temporary coverage. Often times, this is a list of the states where the insurance company is authorized to provide coverage in that state. Section 3C really means that policy benefits can comply with state requirements when an employee is injured in that jurisdiction. This applies to employees injured while working temporarily in those states. It does not apply to employees who live or consitantly work in the those other states. Section 3A appears under Part One- Information Page, of a workers' compensation insurance policy. This section lists the actual states where an employer has notified the insurance carrier that they need coverage in that state due to employees living or working there. In other words, states listed in section 3A are covered as primary states and the carrier is reporting such coverage to the state on behalf of the employer. Section 3A is what really matters in order to maintain compliance with state rules and have ongoing coverage under the policy and the laws of the states listed. Why Can't my Local Agent get Coverage for me? The vast majority of insurance agents do not have the ability to sell insurance in more than one or a handful of states. One reason they often can't sell coverage is because they are not licensed to do business in other states by the Department of Insurance or other regulatory body. A second reason agents can't offer other states coverage is because they may not be authorized by the insurance carrier/carriers they are appointed with to write insurance outside of one or a few surrounding states. It takes a certain level of sophistication and size in order to fully grasp the nuances between states regulations and coverages. Many regional insurance companies are also limited to fewer than 20 or so states because they are not approved by the state to sell workers comp coverage in every state. Workers Compensation Shop.com is a national insurance firm specializing in multi-state and out of state coverage. We often work with employers when they need to procure primary coverage in two or more states. Many of our customers are national and regional franchise owners, medium to large businesses or they are specialized industries who travel out of state for large jobs and/or have employees who live and work in several states. We work with numerous national and regional insurance companies with regard to workers compensation throughout the United States. Learn more about Multi-State Workers Compensation Coverage. State Fund coverage is also referred to as an Assigned Risk Pool Policy. Employers are often required to purchase coverage from the Pool when the y are unable to purchase coverage on the Private Market. State Fund coverage only applies to the state under which the policy was purchased. Many state's court systems have determined that State Fund coverage will only pay benefits under the primary state's regulations. State Fund rates are often much higher than the rates from private insurance companies. Therefore, buying a state fund policy is not the best solution for business owners. It is not uncommon to run across business owners who have two or more separate State Fund policies when they do business out of state. In some circumstances, a State Fund policy might make sense due to the number of years in business or the nature of high hazard risks. However, employers are well-advised to always seek to find out-of-state coverage under a single policy written on the Private Market whenever feasible. A lot of businesses are not properly covered under their workers compensation policy. If your business hires employees outside of the state you are domiciled in, or if you are sending employees to work in other states often or for large projects, then you need those states listed in section 3A of your policy.. 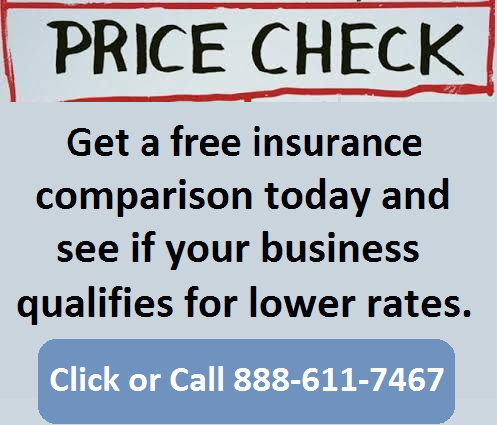 Contact us today to learn more about out of state coverage for your business. Our Specialists will review your needs and help you find a single policy to provide multi-state coverage or simply help you procure coverage in another state for a fixed period of time.